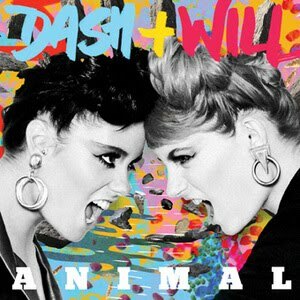 • It’s the highly anticipated return of dynamic Melbourne duo Dash & Will this week, with the service of their brand new single ‘Animal’ to Aussie radio. It’s the first single from their forthcoming second album, due for release later in the year. • A few new tunes for Sony at radio this week, including ‘Jona Vark’ – the new single from upcoming outfit Gypsy & The Cat, New Zealand duo Kids Of 88’s new single ‘Just A Little Bit’, Funeral Party’s track ‘New York City Moves To The Sound Of L.A.’ and remixes of Mike Posner’s ‘Please Don’t Go’ from Future Cut, Jeremy Wheatley and Kat Krazy. • EMI, meanwhile, has sent out the Chemical Brothers’ new single ‘Horse Power’, ‘Shark Attack’ – the Split Enz cover from the recent ‘He Will Have His Way’ album (performed by The Break with Dan Sultan) and Professor Green’s ‘Jungle’. • Michael Coppel has announced a second Sydney show for visiting Scottish outfit Belle And Sebastian. The band will play at the more intimate The Metro on Wednesday March 09 with tickets on sale this Monday. This is in addition to their Sydney Opera House performance on March 10. • The boys from Thousand Needles In Red have serviced their new single ‘Into Eternity’ to Australian radio this week. It’s to be released to digital retail early next month and to celebrate, the boys have announced 14 live dates in March throughout New South Wales, Victoria and Queensland. All the details are on their OFFICIAL WEBSITE. • Ex New Zealand outfit Bonjah has done amazingly well over the past couple of years, immersing themselves in the Aussie music landscape to the point they’ve been nominated at the past two AIR Awards, celebrating indie music. 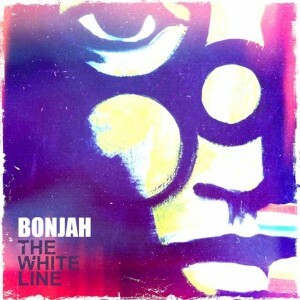 The band will release their new single ‘The White Line’ (pictured) to Aussie radio next Monday, with an album to follow in May. • Shock Records has announced the signing of Aussie outfit My Friend The Chocolate Cake. The band, which has been releasing music for over 20 years, has celebrated their arrival at their new home by revealing that a new single called ’25 Stations’ will be released digitally this Friday. It’s just the first tune to be lifted from a brand new album that Shock assures us we’ll hear plenty more about when “we’re good and ready”. • We might not give a damn about her in Australia just yet, but Jessie J is tearing up the British singles chart with her new track ‘Price Tag’. It’s debuted in the No.1 position this week, bumping last week’s No.1 (Ke$ha’s ‘We R Who We R’), which drops to No.3. Enrique Iglesias pops in at No.5 with ‘Tonight’. • And on the UK albums chart this week, Adele maintains her lead at #1 with ’21’. She’s also at #4 with ’19’. The new Chase & Status album ‘No More Idols’ is in at No.2, while the latest Eva Cassidy release ‘Simply Eva’ debuts at No.6. Would you by any chance have any updated info on when JLo’s new single will arrive on iTunes?